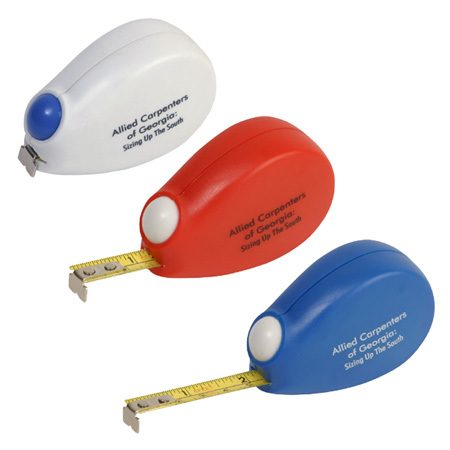 Roll-A-Matic Tape Measure Great-looking design and value-priced.Has a 5 foot long retractable/auto locking tape. Ergonomic casting so this tape measure is easy to hold. Available in Red, Blue or White.